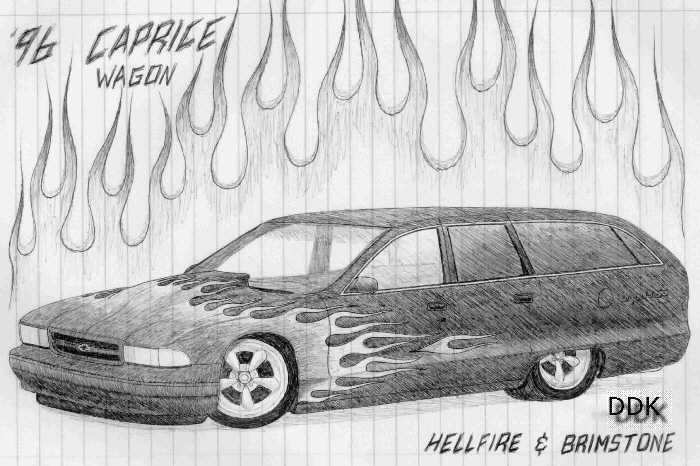 This ‘96 Caprice wagon is what my next project will look like upon completion. The first mods will be purely cosmetic, but eventually a 502, T-56, and 3.73 posi will find their way into this car. A custom gray leather interior will be made. I am looking for any 91-96 Caprice wagon to lower, smooth, and paint. It will likely be black with gray to silver flames with 17” Torq-Thrust II’s will complete the look.